We won a music video at a voting contest in the summer, remember? You sure do, cos you voted for us and we’re grateful for that. It took some time to get this video done, but now the wait is over. Here is the official music video for Monday Morning featuring a panda mascot and three cheerleader girls. 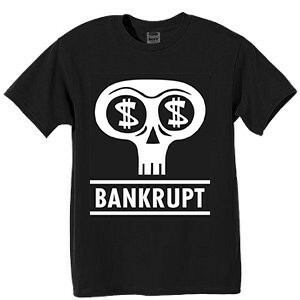 The new skull design Bankrupt T-shirt is available in the webshop for 8 euros, or if you don’t have the Rocket and Razor CDs yet, you can also choose the action pack for 10 euros. 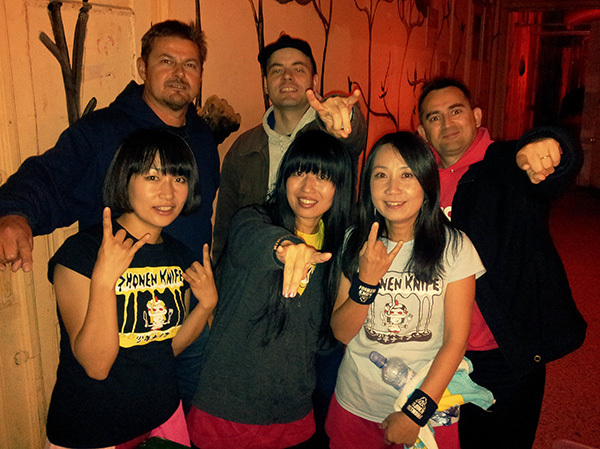 We’ve known Shonen Knife since MTV’s 120 Minutes was playing Tomato Head around ’94 or so. Fast forward 2 decades to the present and we’re playing a gig with them, it’s crazy! It was definitely our Gig Of The Year so far, and this time nobody stole the drummer either.